One more year gone by and its holiday season! 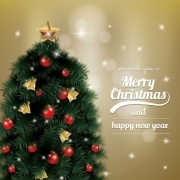 We wish you and your families a Merry Christmas and a very happy new year. Our team at GPL Guru is grateful to each and every customer who have purchased from us and our website’s visitors. We wish you all peaceful, joyous and prosperity filled new year. We thank you for your continued support and patronage. We look forward to serve you in years to come. In this holiday season, we take time to reflect on the past year, all the good things we received, relationships built & are grateful for the gifts we received. We are happy to announce that we have an ongoing sale in which we are giving discounts upto 30% on our memberships & 25 % off on everything else. All new and current customers can take advantage of the sale and extend the length of their memberships. We hope that 2019 will be a memorable year for you, we wish you the gift of peace and prosperity throughout 2019. As you already know, at GPL Guru, we do not provide automatic updates & support for premium themes & plugins available at our website. If you would like these facilities you should buy directly from the developer and support them. However, we do understand how much important it is to keep WordPress updated, therefore the following guidelines will help you in doing just that! Download the latest update from the website, if you have subscribed to us you can download the products from your Membership Downloads page. If you have bought an individual product, the same will be available in your My Account -> Downloads page. If you have not already, install and activate Maintenace plugin for your WordPress site, and turn on the maintenance when you area upgrading your plugins or themes and once done, turn off the maintenance. 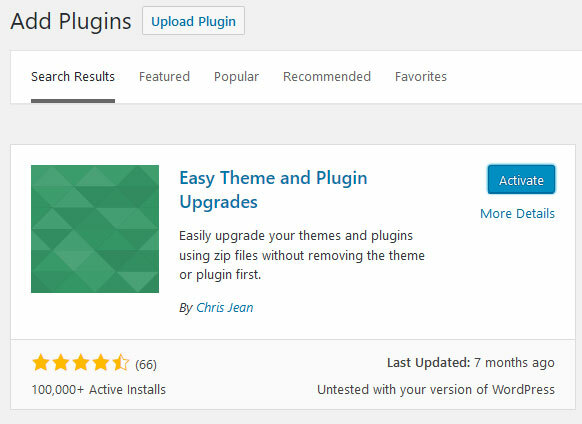 In your WordPress installation, install and activate Easy Theme and Plugin Upgrades plugin from WordPress Repository. Just go to your Plugins -> Add plugins page and upload the updated plugin as you would install any new plugin. Before activating, download the backup for the previous version. Activate the latest version of the plugin or theme on your WordPress website. Easy theme & plugin upgrades plugin helps in keeping your website up to date from the front end and also provide you a backup of your previous version. Important: You should always keep the latest backup of your website before making any major change to your website. We have both Backupbuddy & updraft plus available at GPLGuru.com which can help you with the same. We hope you had a wonderful holidays as our team did. Everyone is back from holidays and looking forward to serve you in best possible ways. All pending support request will be answered today. Updates will continue as per their normal schedule. Should you have any query or concern, get in touch via contact form on the website. 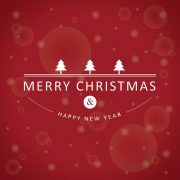 First of all Merry Christmas to everyone, we would like to inform you that GPLGuru.com Team would be on holiday from December 27,2016 through January 02, 2017 for New Year Celebrations, so that our team can enjoy holidays with their family and friends. Updates & sales queries will resume the normal operations from January 03, 2017. There will be delayed response for any update or sales inquiries during the holiday period. We thank you for your understanding & wish you a very happy and prosperous new year. Warm greetings of holiday season. In the past our Indian Customers faced some issues with payment while paying with our default payment option Paypal, which is widely accepted form of payment online but does not let payments from Indian account to other Indian account due to restrictions imposed by Reserve Bank of India. While some customers contacted us regarding the issue and alternate payment arrangement was made but still it took more time for them to get the access. 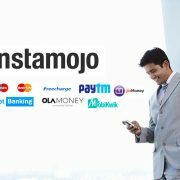 To serve our Indian customers better, we have implemented “Instamojo” as payment gateway for our Indian customers starting from today. Customers can now pay via debit or credit cards or through netbanking. In addition to this customer can also make the payment via digital wallets such as PayTM, Mobikwik, Freecharge, Olamoney or Jio Money. We believe this will help our Indian customers to make payment quickly and smoothly and download their product instantly. 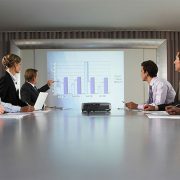 If you have any query regarding the same or face any kind of issue. You can always contact us using the contact form on our website or the live chat option. Wishing you all the best for your future projects. Have you been missing any update from our side. Now you can get GPLGuru.com’s latest news & updates directly in your email without any wait. Just sign up via the form below & confirm your subscription. We will be using mailchimp’s rss to email service for this task, so each time there’s a new update at our website, you will be the first to know it. We would like all of our users to sign up & receive the benefits. Occasionally we will also send best offer of the month to our subscribers. Pay only once: Unlike our other membership options which lets you get the access only for a certain time period only, lifetime plan gives you access to all the files forever. 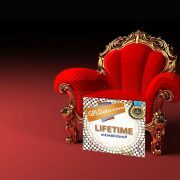 Access to Lifetime Updates: You will have access to all the regular updates which we provide. Access to Latest Additions: As you know we keep on adding more and more files to our site, you will have access to all the newly added products, no matter when they are added. Low Price: Get locked in at relatively less price as compared to our other payment options. Currently our lifetime membership subscription is priced at $497 $197 only. We may increase the price in the future. We take great pleasure in welcoming you all to GPLGuru.com, a website which provides premium WordPress themes, plugins, extensions & add-ons at affordable prices to freelancers, webmasters & design agencies around the globe. Our premise is simple, we intend to provide GPL plugins at affordable prices to those who need it the most but does not want/need the support & automatic updates that developers are providing. However, if you can afford it, we highly recommend buying directly from the developers and supporting them. They invest thousands of man hours creating these plugins & they are also running a business. So if you can afford it buy directly from them & support them. As previously stated, our files are 100% original & directly from the source. So you need not worry about any malware or any such infection ridden scripts available for free on the internet. It is a known fact that premium plugins & themes have become a necessity for web designers, freelancers & site owners for creating a well functioning website. However, almost all the time, the cost of these plugins is a road blocker for many of us, Especially for those who have experience with WordPress plugins & themes. This is where GPLGuru.com comes in & saves the day. You get the original files as & when the updates come, you can just manually update them. Note: Manual updates are easier than you think. 1. 30 Days membership for $15 only. 2. 180 Days membership for $47 only. 3. 365 Days membership for $77 only.